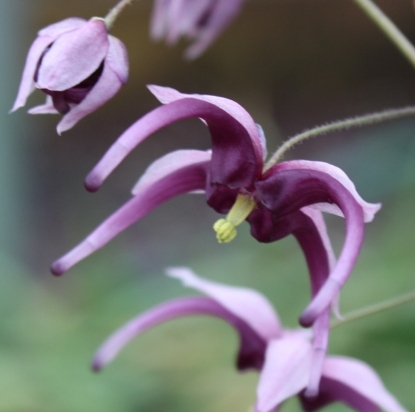 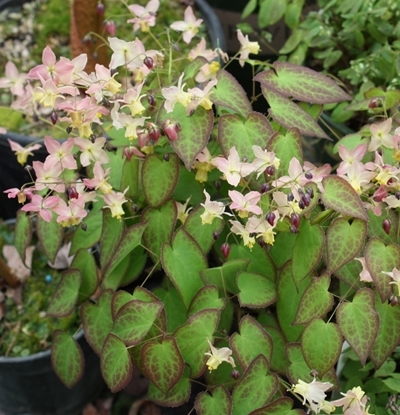 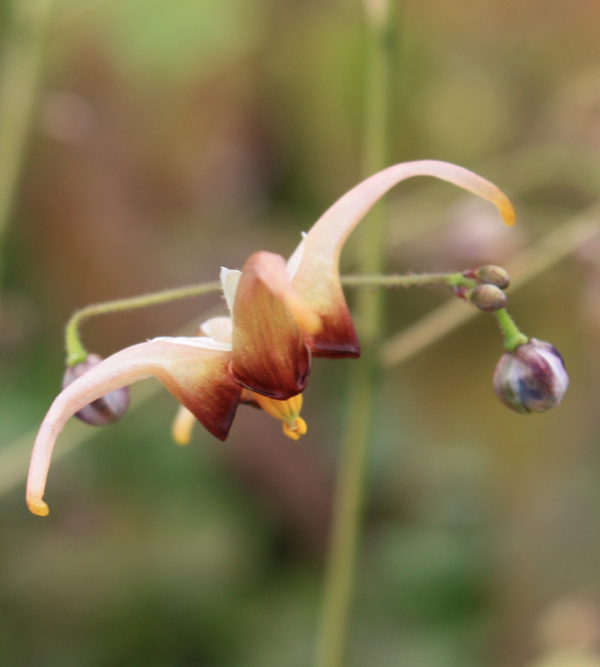 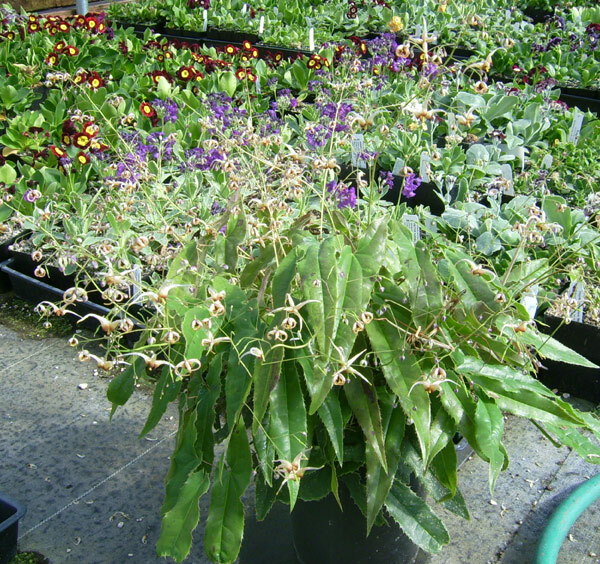 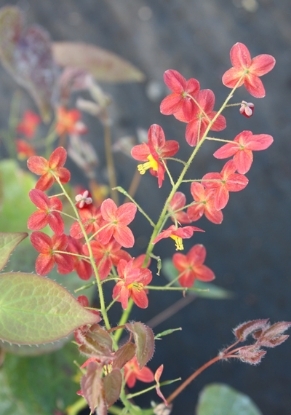 (Formerly sold as E. wushanenese 'Caramel') A decidedly different type of Epimedium, with evergreen, narrow, strongly toothed leathery foliage with a thick substance which is red mottled in spring. Caramel is a good description of the bloom color; they are held in large numbers well above the foliage on tall racemes. 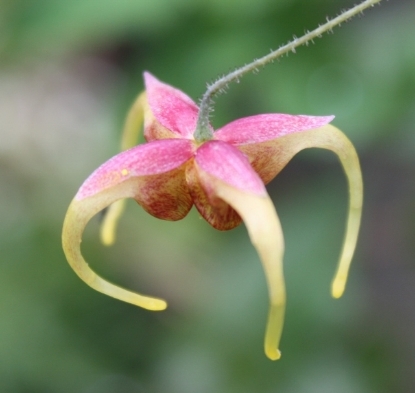 Blooms later than most Epimedium.